Did you hear? The McLaren F1 seems to have got a spiritual successor. I always thought the P1 fulfilled that role. However, when the P1 came out and I read about it, it became clear. The P1 is its own beast. It, for me, is the ultimate expression of modern McLaren Automotive. There are many who weren’t around when the McLaren F1 came out. The P1 is to them what the F1 is to us 90s’ folks. This is why, I feel, the P1 is not the F1’s spiritual successor. The McLaren Speedtail? That’s a whole different story now. The real question is this – is it the McLaren F1’s spiritual successor or is the Speedtail its own beast, like the P1? What’s new about the McLaren Speedtail? Let’s talk about the McLaren Speedtail’s design first. You know the classic GT design – long hood, short rear deck, and fastback roofline. I am talking about cars like Mercedes-AMG GT, Ford Mustang, and Aston Martin DB9 (the DB11 warrants an inclusion too but anyway). This car’s design is like a reverse GT design – short hood, long rear deck. While the roofline is classic GT, it just stretches too long. 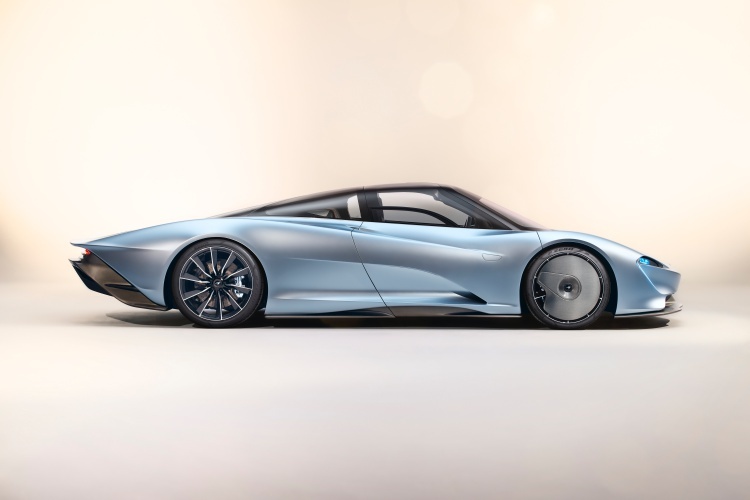 There are two reasons why the Speedtail’s design is so different and unique. First off, aerodynamics which, for a modern McLaren, is a no-brainer. The Senna, P1, even the 600LT, all have a form-follows-function design. That said, the second reason is this car has to seat three people. The best way to go about it? Go the McLaren F1 way – driver in the middle, two at the back. 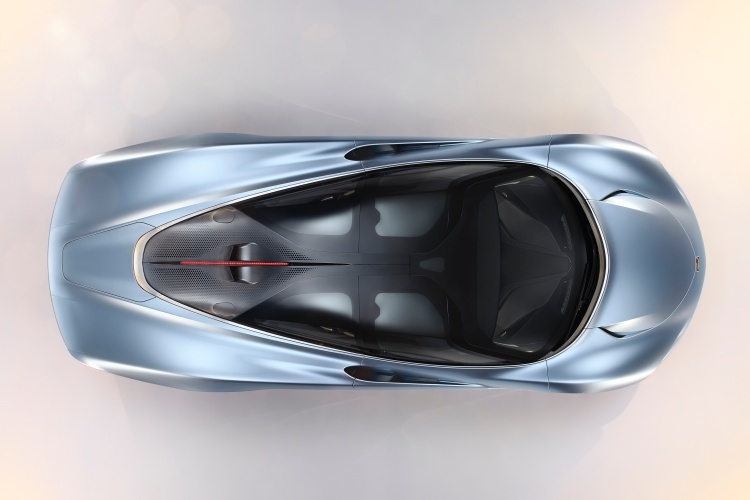 Here’s the problem though – the McLaren F1 never looked as outlandish as the Speedtail does. One statement sums up my feelings about this car’s design. 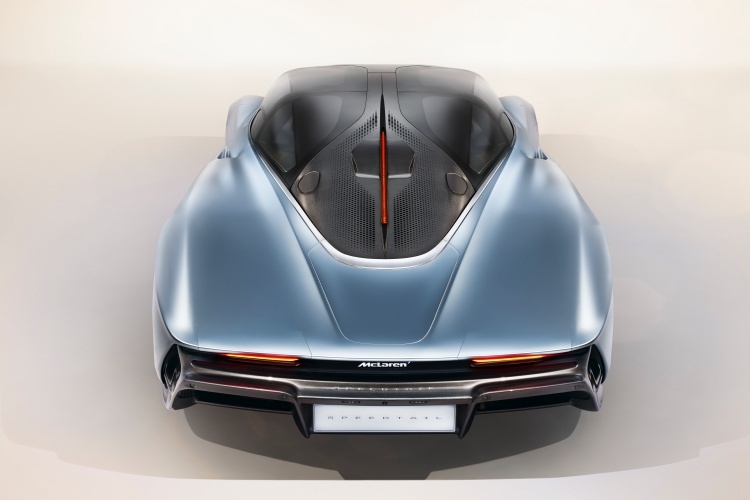 The McLaren Speedtail is a head-turner alright but it isn’t going to win any design awards unless two conditions are met – (a) It is the only car being evaluated for its design, and/or; (b) the other cars resemble the Pontiac Aztek (seriously, don’t Google it). 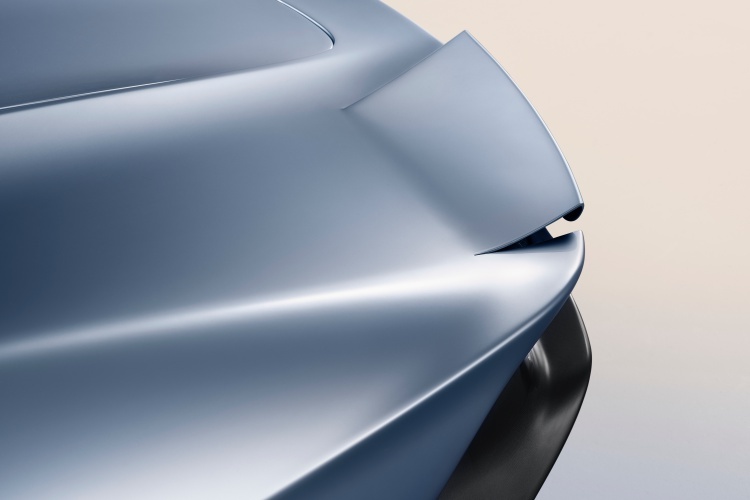 However, the story with the McLaren Speedtail is all about aerodynamics. 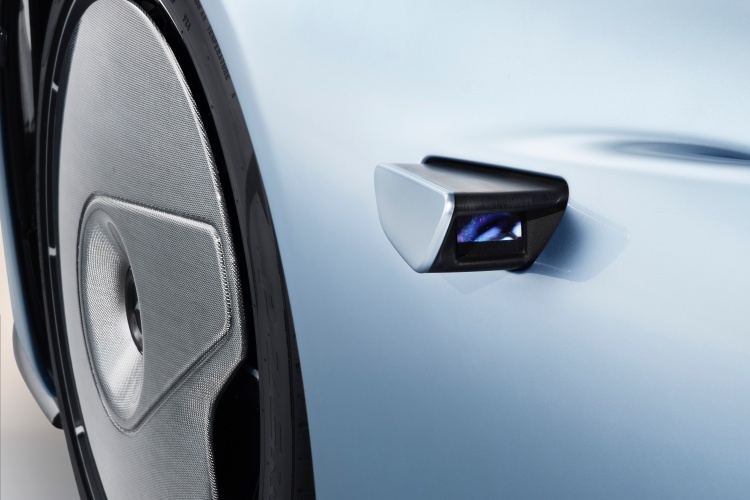 Static carbon-fibre front wheel covers ensure the turbulent air keeps flowing over the car’s body. The car features numerous vents at the front, sides, and rear. It has a functional roof air intake (flanking the longitudinal brake light in the photo below). 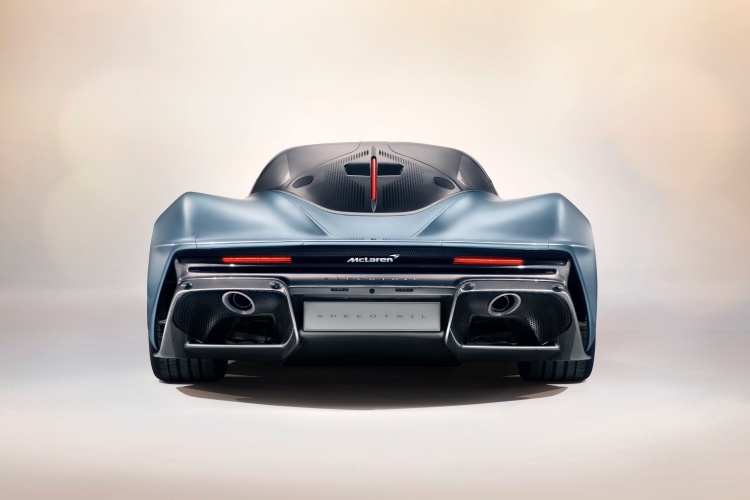 The rear also features flexible carbon-fibre ailerons that act like retractable wings. 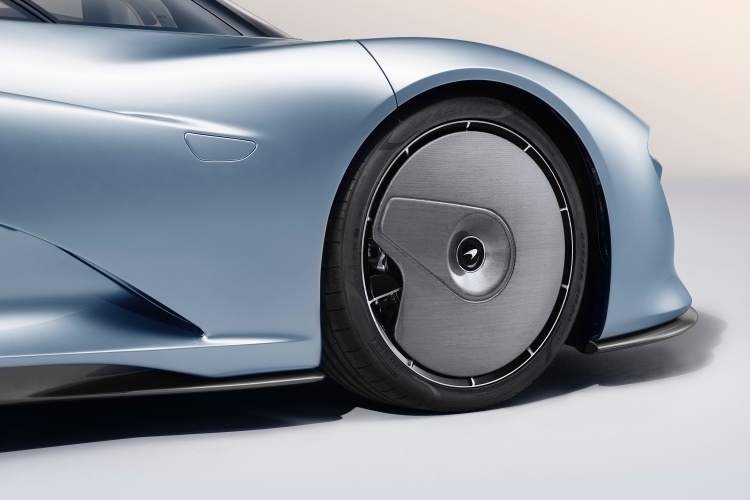 When chasing mind-boggling speeds, the Speedtail lowers itself 35mm (crazy considering how low the car already sits). Inside, the McLaren Speedtail looks like a spaceship. The dashboard wraps around the driver, almost enveloping him/her. Dual-tone black-on-white leather scheme has been put to use here. Five displays in total surround the driver. Two on either end act as ORVM replacement, showing live feed from retractable cameras outside the car. To the driver’s left is the display for vehicle’s systems while to the right is the infotainment screen. All screens here have touch input, minimising use of buttons and knobs inside the car’s cabin. 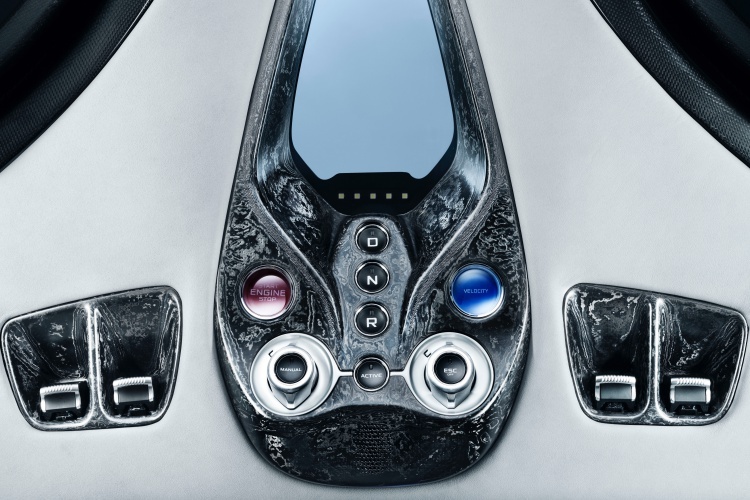 Oh, but buttons and knobs there are in the McLaren Speedtail. Only that they are placed above the driver in the overhead console. These buttons include those to operate doors and windows, engine start/stop, and transmission. This is one bit I wish every modern car had. On regular cars, it would just free up space on centre console. Did I mention it has a Velocity button? For that bit alone, I am willing to junk all my criticism for this car. Coming to this car’s powertrain, the P1 seems to be the inspiration. 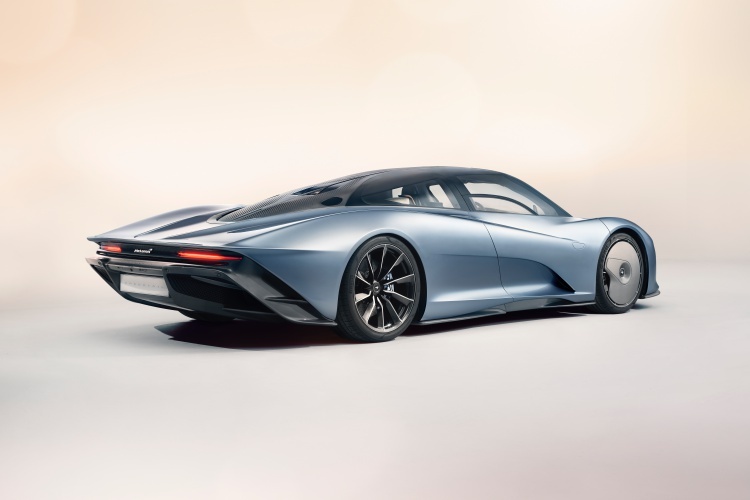 The McLaren Speedtail has a petrol-electric hybrid powertrain that has max power output of 1,050HP. This is enough to push the car from 0-300kmph in just 12.8 seconds. McLaren claims this car is capable of hitting a top speed of a little over 400kmph (250mph). Seriously, I’d be satisfied if the car is able put its power down the way other McLarens do. Lightweight carbon-fibre construction and aerodynamic aids play a big role here. They also make up for a car, dare I say, as sophisticated as a Formula 1 car. Like I said, it may not win any design contests but it doesn’t need to. The only thing it now needs is a pair of wings to make it fly. Can you do that next, McLaren? 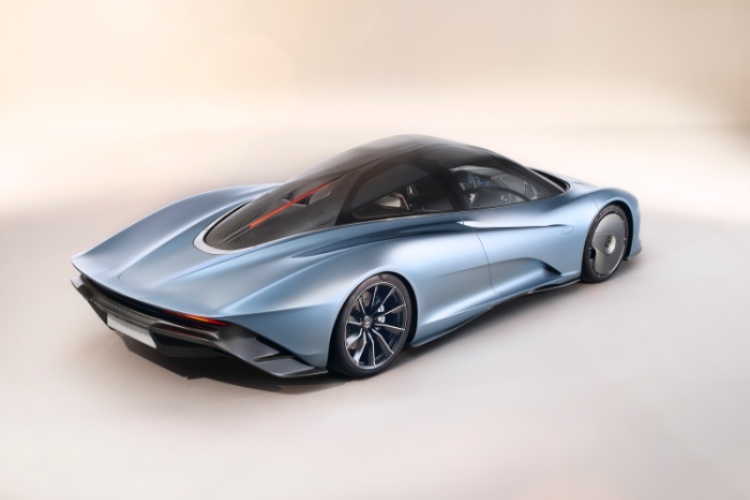 Is the McLaren Speedtail worth consideration? Maybe, but only when the McLaren Speedtail shows up at auctions. That will happen after 2020 when the deliveries of the car begin. The company will create only 106 examples. Despite costing (without taxes) GBP 1.75 million (approx Rs 16.07 crore at current exchange rate), all have been spoken for. Despite its ridiculous price tag, the McLaren Speedtail is proof that automakers are willing to go out of their way for their well-heeled clients. 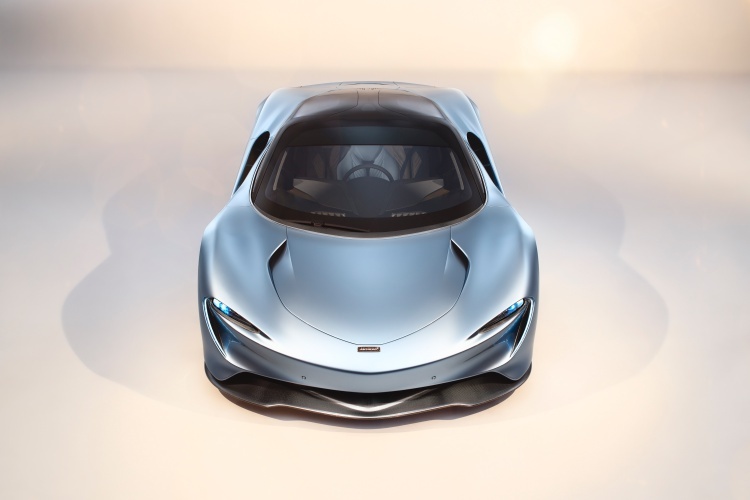 As much as I want to be one such person, if I ever get there, I will ask McLaren to get me a P1 with 720S’ dashboard and Speedtail’s overhead console. Maybe I will just ask them to get me an F1 instead. That’s because the Speedtail, for me, is its own beast. The McLaren F1 is yet to get a true successor in any form.